Waste Pickup Services - Myers Industries Inc.
Our waste pickup service is suited to low, medium, and high volume waste generators. Certain requirements will need to be met for bin space and pickup service. 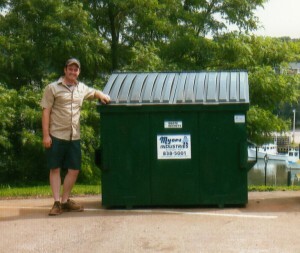 The dark green steel containers are equipped with sturdy, light-weight, lockable lids to protect contents from insects, rodents, weather (rain or snow), and from illegal dumping. 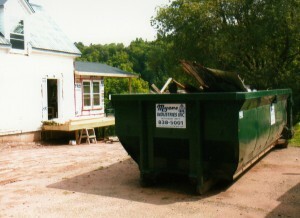 For large quantity generators of waste, compost, and recyclables, Myers Industries has, 20, 30, 40, and 50 cubic yard containers. Myers Industries maintains a large inventory of containers so that we can offer same day delivery, even in peak times.